Check out this amazing interview with AHP’s Sherrie Flick! As always, we’re amazed by Sherrie Flick; she’s a great writer and promoter. This interview plus notes/tips from the road are so fun and informative to read! Below is a brief excerpt. To read the full piece, go to Fear No Lit’s website! 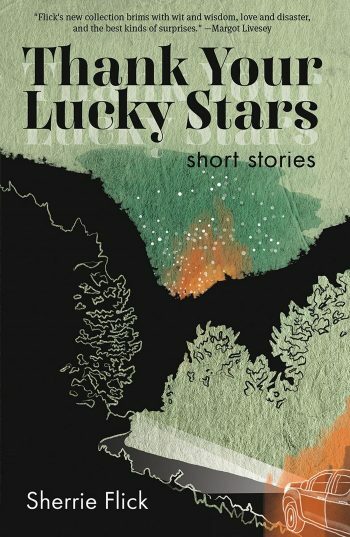 To use a food metaphor, Thank Your Lucky Stars is like a buffet: there’s not just a little something for everyone, there’s a lot for anyone. Some of the stories are heartbreaking and stark, some of the stories are more coy and humorous, and some are even coy, heartbreaking, and humorous all together. Stories like “Las Vegas Women” or “Nebraska Men” are somehow holistic and precise at the same time. It’s a collection that shakes up the rhythm for every story, if not for every page.